Bring style to your wall space! 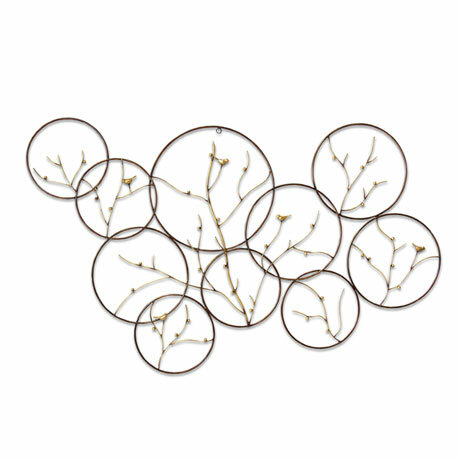 The gorgeous Birds on Branches Wall Décor is made of metal with a hand-painted bronze and gold finish. Its circular design has delicate birds and branches inside. This piece is an eye-catching addition to any traditional or contemporary inspired decor. 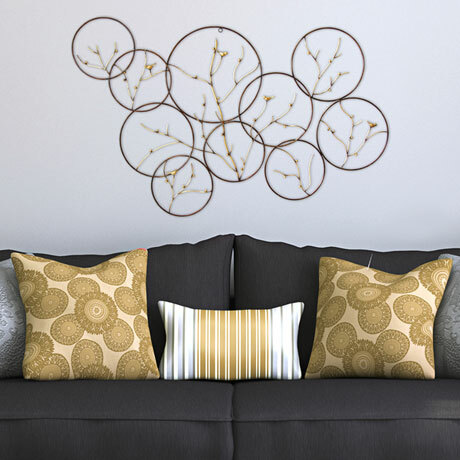 Try styling it above a sofa or in a dining room to add personality to empty walls. 48.46" wide x 0.87" deep x 28.87" high. Allow 2 weeks for delivery. No rush delivery or gift box. Item can only be shipped within the Continental US.